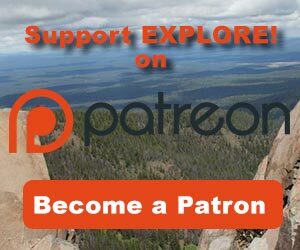 Outdoor News March 30, 2018 - Explore! 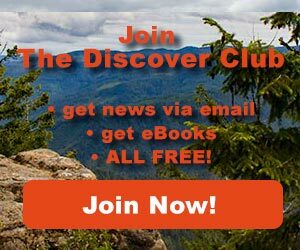 Outdoor News March 30, 2018 - Explore! The Adventure Travel Trade Association has introduced it’s first Leadership Circles program, a virtual education and community building opportunity offering one-on-one professional coaching and peer group interaction designed to support diverse leadership styles for both men and women. Throughout the program participants will work closely with their peers and a professional coach, to identify important issues they want to address, participating in regular virtual gatherings, monthly webinars and a private online forum for ongoing discussion and relationship building. The professional coach comes from Momentum Inc., of Bend, Oregon, a leadership development and executive coaching agency. Momentum offers participants the opportunity to discuss their personal career challenges, receive insight and be equipped with information they can implement for months to come. Over the course of the program participants will naturally develop relationships with their peers creating a comfortable, learning community and the ATTA has created a private, online forum to provide a space for those relationships to continue to flourish long after the course has been completed. Through this lens, participants will tap into the wisdom of their like-minded peers globally and experience unparalleled insights, feedback, and accountability that can be a challenge to create in our day-to-day lives. Registration deadline extended to April 13, 2018. Courses begin April 23, 2018. 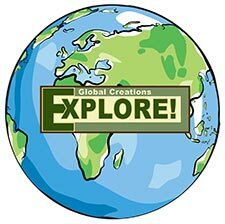 Get the details and register at the Adventure Travel website. The Ezra Smith Wildlife Habitat Conservation Area features wetlands that border beautiful Hopkins stream (pictured), an extensive fen, and a mixed hardwood-conifer upland forest. The property includes a diversity of wildlife habitats and a well-managed forest. A small parking area on Route 41 will provide easy public access for a future trail with interpretive signage about Maine’s wildlife and their habitats. When KLT agrees to accept a property like George and Linda’s, the group assumes the responsibility for monitoring and managing the property in perpetuity. The cost of this financial responsibility varies with each property and KLT has a designated stewardship fund that helps support stewardship costs. The income from the stewardship fund is dedicated to trail development and maintenance, local property tax payments (open space rate), and annual property monitoring. If you are interested in making a contribution to take care of this beautiful piece of land forever, please send your donation to: The Kennebec Land Trust, PO Box 261, Winthrop, Maine, 04086 or donate online. 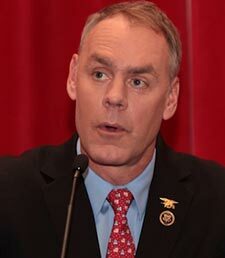 On Monday, U.S. Secretary of the Interior Ryan Zinke announced the members of the “Made in America” Outdoor Recreation Advisory Committee. The Committee was established on November 8, 2017, and is intended to serve as an advisory board to the Secretary of the Interior on public-private partnerships across all public lands, with the goal of expanding access to and improving infrastructure on public lands and waterways. The members of the Committee were selected for their diverse backgrounds and experiences with the recreational industry. Members will have knowledge utilizing public-private partnerships, providing recreational visitor experiences, developing and deploying infrastructure improvements, or a thorough understanding of recreational equipment. “America's abundance and beauty is something to be both preserved and admired," said Representative Dennis A. Ross. “As an RV enthusiast, I have been able to experience firsthand the glorious landscape of our great nation, and am thankful for those American entrepreneurs and innovators who think of new ways to experience what our country has to offer. I hope that with their guidance, more Americans will be able to witness the vast bounty of our land, from sea to shining sea." Amanda Covington Senior Vice President of Communications & Government Relations, Vista Outdoor, Inc.
Phil Morlock Vice President, Government Affairs & Advocacy, Shimano American Corporation/Shimano Canada Ltd.
Patrick Pacious Chief Executive Officer, President, & Director, Choice Hotels International, Inc. Some groups expressed concern about the make-up of the committee. In a statement, The Coalition to Protect America's National Parks said: "The Coalition is troubled by the membership of Secretary Zinke’s “Made in America” Outdoor Recreation Advisory Committee. While the mission of this advisory group is clear, to gather advice from those who represent the recreation industry, we believe it is critical to balance the biases of those who seek to expand development and commercial uses of our public lands with advocacy representing the needs of the public. To the contrary, the committee represents a narrow slice of individuals and industries that make money from park development and use. The Secretary’s consistent failure to balance his zeal for development and commercialization of our public lands with a reasonable effort to protect resources is obvious and contradicts the basic duties of his job." The Outdoor Industry Association said: "Outdoor Industry Association appreciates the establishment of the ‘Made in America’ Outdoor Recreation Advisory Committee at the Department of the Interior and we look forward to having our members and partners represented on the committee. Additionally, we believe the best way to invest in, expand access to and improve infrastructure on our nation’s public lands is through the protection of those public lands, including keeping our national monuments intact. We intend to represent this message and like minded initiatives and ideas backed by the combined force of the businesses, organizations and individuals who make up the $887 billion outdoor recreation economy and the 7.6 million American jobs it supports, as we work with Secretary Zinke and the Outdoor Recreation Advisory Committee. Additionally, we expect the full spectrum of outdoor recreation interests to be represented on the committee and will continue to actively seek individuals to submit for participation. 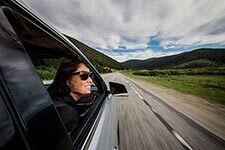 On Wednesday, the Montana Department of Tourism and Business Development announced the latest in its series of videos titled Weekend Road Trip, featuring Scott and Miho Ligare as they get behind the wheel to explore the beauty of Southwest Montana. The couple's journey begins in the historic mining town of Butte, where they enjoy a sunny walk through Uptown, a Victorian-era neighborhood, and visit local businesses like Headframe Spirits, a craft distillery. After their time in Butte, the road takes them south with stops at Big Hole National Battlefield and the ghost town of Bannack State Park. As their weekend road trip continues, the mountain peaks in the distance draw closer and the lush Big Hole Valley beckons. Here the couple stops to try something new, an afternoon fly fishing the Big Hole River. “Driving down the open road, going slow and stopping at places that we see that look intriguing. That's just about as good as a road trip can get," says Scott. Scott and Miho remember their hearty camp-style steak dinner at the Big Hole Lodge fondly. The friendly atmosphere in the riverside clearing perfectly embodied the spirit of their road trip adventure. "It's been an escape of a trip," says Scott. "Being able to just leave work and everything behind…it's pretty ideal." A road trip is the perfect way to explore Montana. Whether you have just a weekend like Scott and Miho, or are looking for a longer adventure, you'll create memories during your journey with the road as your guide. Visiting Montana's charming small towns along the way allows you to feel the sense of community and heritage through local dining, beverages, shopping and accommodations. Outdoor recreation can be found at every turn, with opportunities to experience unspoiled places across the state you won't find anywhere else. National Parks are not the only parks facing maintenance problems. On Tuesday, the Minnesota Department of Natural Resources noted that visitors to Jay Cooke State Park are awed by the scenic views of the St. Louis River and the historic swinging bridge. But one thing they won’t find at this iconic park is water for drinking or flushing toilets. It seems the park’s main water line failed this winter, forcing the park to shut down the water supply and close all of its bathrooms with flush toilets. The broken water line is among the growing list of repairs needed throughout the state to hundreds of roofs, dilapidated bridges, washed out roads and culverts, substandard electrical service, and failing mechanical and utility systems. As part of his 2018 Public Works bill, Minnesota Gov. Mark Dayton is asking the Legislature to invest $130 million in urgently needed improvements to Department of Natural Resources’ buildings and other infrastructure. The DNR needs to make these fixes in order to provide recreation and natural resources services. These repairs also create hundreds of construction jobs for Minnesotans. According to the DNR’s most recently completed facility assessment, the agency has more than $35 million of building components in need of immediate repair or replacement. The DNR also has hundreds of millions of dollars of other investments needed over the next decade to prevent asset failures like the broken water line at Jay Cooke State Park. Repair costs increase about 8 percent annually, so addressing these problems now saves Minnesota money over the long term. The 10-year capital needs report shows 192 of the agency’s inventory of 2,700 buildings are in crisis or unacceptable condition, and 520 are in poor condition. Some DNR forest road or trail bridges are weight restricted due to structural deterioration over time – meaning logging trucks and grooming vehicles can’t use them. Many facilities have hidden infrastructure that is essential to outdoor recreationalists. In addition to Jay Cooke State Park, Blue Mounds State Park, near Luverne, has been without potable water for several years because of well contamination. Aging waste water treatment systems at other state parks, such as Itasca and Myre Big Island, also need replacement. Set up camp with savings when you shop Cabela's sale on Coleman camping gear! Get free Shipping at Sierra Trading Post with orders over $89. Enter code SHIP89 at checkout! Take 20% off your first order at Cairn – use code SPRING 20 at checkout. Deal ends Tomorrow! Today only, 3/30, Up To 50% Off Select Electronics at BikeNashbar.com. Exclusions Apply. Plus, Totally Free Shipping on All Bicycles and Frames! No Oversized Shipping or Packing Fees Either. REI Members: Save 20% off one full-price item, and an extra 20% off one REI Garage item. Use coupon code: MEMPERKS. Lifetime membership costs $20! Jay Cooke State Park in Minnesota may need some work on its infrastructure, but if you really enjoy the outdoors, that won't be much of a problem. This week's video features the park. Enjoy!